We admit that this is the strangest and most confusing combination of words to name a casino game. It sounds oriental, yet poker is identified with the western world. Pai Gow Poker is actually a mix of an Asian game called Pai Gow and poker. This centuries-old game was played with numbered tiles, which later were replaced with cards in order for the game to appeal more to westerners, and thus Pai Gow Poker was created. Pai Gow Poker is played just like poker, only that a joker is used as well. All the hands are valued according to the standard poker rules, so there is really not much to it that players can find difficult. This game is a really fun alternative to poker where the reduction of the house edge is very much possible if you stick to a winning playing style. It’s a simple, yet entertaining game to play. The game has both ancient and modern origins. The game of Pai Gow was invented during the Song Dynasty and was played with tiles that resembled dominos. It was played with up to 8 players that arranged their pieces in a way to form two hands, which today in Pai Gow Poker are called “back hand” and “front hand”. These two hands are used to beat the house, and you need both of them to win in order to beat the house. This is how Pai Gow was played then. Pai Gow Poker on the other hand is played exactly the same today, only instead of tiles we use standard poker card deck with which we form two poker hands, one is a five card hand (the back hand) and the other is a two card hand (the front hand) which is used to form a pair of cards. The first time that Pai Gow appeared in the western gambling world was in a Las Vegas in 1979 in a casino called the Caesars Palace. This was the only casino that offered it for that time. Six years later, Pai Gow Poker was invented. It is considered strictly an American invention, and the first time it appeared was in the Bell Card Club in California, where the game quickly took over the entire floor space with Pai Gow Poker tables dominating the entire service only to become an exclusive Pai Gow Poker Club. The owner of this club, Mr. Torosian came up with the game when he got introduced to the old Chinese card game of Pai Gow which was a bit complicated for western standards, so he changed the hands with poker hands which made it much easier to understand and the game quickly took off. The joker wild feature was also an idea of the owner of the Club. The biggest mistake that the creator Mr. Torosian did was not to patent the game. Today, Pai Gow Poker generates revenues that go into millions, and sadly he is left out. By the 90s all casinos across the US have embraced this exciting new game. 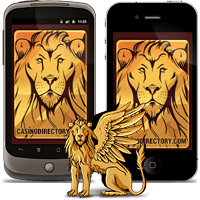 The game even spread overseas to South America and Europe, and even China where Macau casinos liked the idea very much. Pai Gow Poker today is part of all big online casinos as well. Actually, online Pai Gow Poker is particularly popular table game among casino players. The game is reported to be very low risk game allowing high stakes to be played so it should be a very favorable game for high rollers.